Homeopathy is the system of medicine in which diseases are treated by minimal doses of natural substances. It attacks and cures the root cause without causing any side effects. It takes into account every minute symptom of the skin disease as well as a complete analysis of a person’s mind, genetic factors and the condition of the immune system. Homeopathy is effective in treating various skin problems, such as Acne, Pigmentation, Dandruff, Hair loss, Eczema, Rashes, Allergic dermatitis, Uriticaria, Psoriasis, Lichen Planus, Vitiligo, Chronic and recurring bacterial infections, Fungal infections and many other skin ailments. 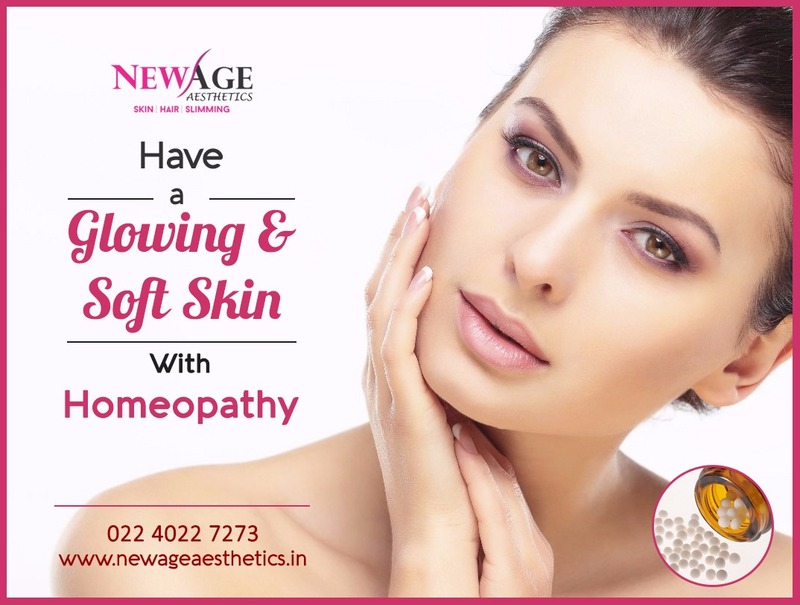 Homeopathy help to clear facial pigmentation and can be used in all the cases where the skin is dark or has marks due to acne or any other conditions. Homeopathy never fail to bring a glow to the skin and lighten the complexion when used appropriately. It is the first choice of medicine in cases where a clear facial complexion is desired. It has shown very promising results in cases of acne marks and gives complete satisfaction to attain fair, clear and glowing skin. Homeopathy is very effective in treating chronic diseases. It’s benefits in treating skin and hair problems have been widely researched and validated while conventional treatments usually do not have cure for certain diseases and end up making the skin problems worse by making the skin dry and irritable and most diseases return or resurface in a short time once the treatment is stopped. Whereas, Homeopathy has been proven to be safe and effective and provides long lasting better results and has proved to be a very successful treatment method for a number of skin and hair problems.